Vladimir Putin has once again declared Russia must move from a draft-based army to a professional one, winning plaudits from experts and the Russian people — just as he has ever time he has repeatedly made exactly the same declaration in the past (meduza.io/feature/2019/04/12/putin-skazal-chto-prizyva-v-armiyu-ne-budet-nuzhny-tolko-vremya-i-dengi-on-uzhe-eto-govoril). 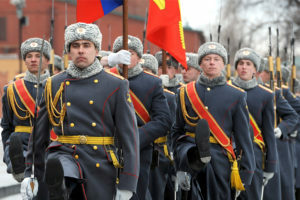 Igor Korotchenko, editor of Moscow’s National Defense journal, says that the draft won’t completely disappear, but it will “simply be minimized” as an element of the formation of the army. Russia needs “the mobilized reserve” that draftees can serve in the event of a military conflict. That requires a draft as well as professionals.